I started to travel at the age of 32 in 2006. I had to finish my pre-law, law school, and pass the bar exams in 2000. I started my career in shipping and then endured three (3) years in different law firms. And then year 2002, I started my career in teaching. And again, I was aged 32 when I started to travel. My first one-week travel was in Ilocos. My friend Agatha Mauricio opened my eyes on the spectacles of travel and from then on I traveled and marveled. 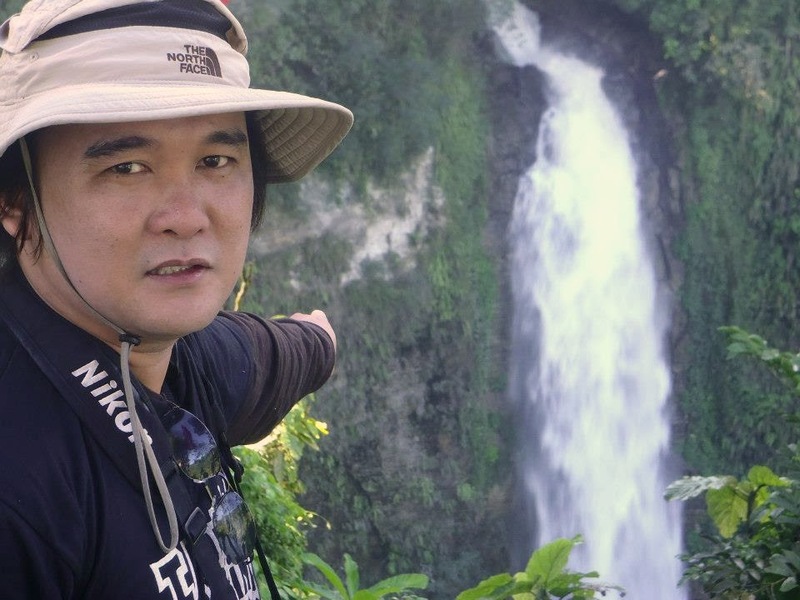 At the age of 40, I am sharing my unforgettable travel experiences. Here are the twelve of my most unforgettable travels in no particular order. How could I forget Davao! I almost died in Davao doing river rafting. My first experience was in Cagayan de Oro and after two days in my Mindanao tour (2012), I was again in a raft but this time in Davao. I had to experience both for me to compare them. The raft capsized unexpectedly and I found myself being taken by the strong current for more than five minutes hitting the rocks left and right. I was losing my instinct of self-preservation, everything was blurred. Then, I was underwater for less than a minute and was still being taken by the strong current. Then, a faint voice emerged out of the confusion and I saw the light from the horizon. I heard anew the voice shouting: "straight body and don't move!" I extended my hand and somebody grasped it! It was still not my time! And it was one experience I would never forget! It was my first spelunking experience! The cave connection was really unforgettable! 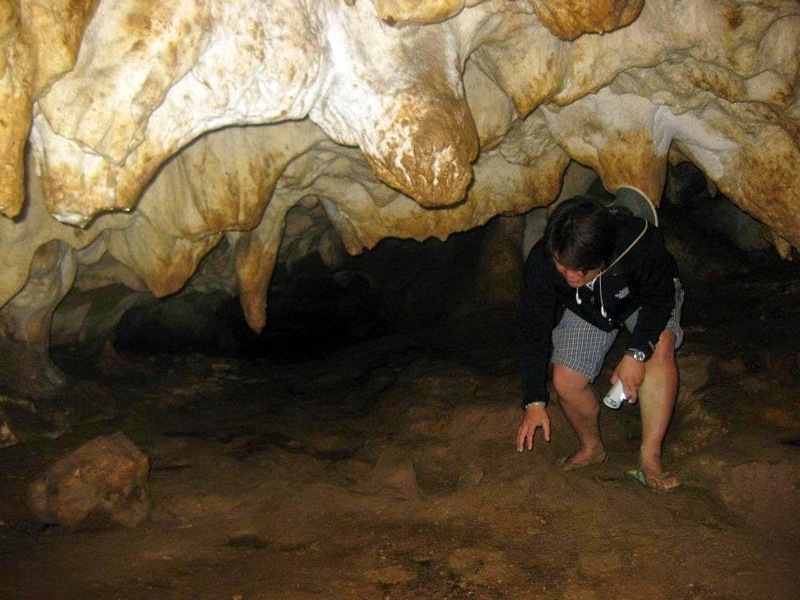 I left Manila 11:00 pm, arrived in Baguio 6:00 am, reached Sagada 1:30 pm and was doing spelunking around 2:30 pm. It was my first time in Sagada and I was traveling alone (as usual). I joined a group whom I met in my bus ride to Sagada and by the time I knew it, though tired and sleepy, I was already inside the cave and endured three (3) hours of spelunking in the cave connection. Spelunking was really awesome! I was organizing a trek for my students and I had to survey the terrain of the climb. The problem was prior to the hike, my siblings and I had a late night drinking spree and the following morning, I had a terrible hangover! I had to woke up 4:30 am and boarded my bike en route to Cuenca, Batangas. Past 6:00 am, I hired a guide, climbed Mt. Maculot and then, descended. Past 11 am I was again onboard my bike to Mt. Makiling. And I climbed another mountain and descended anew. I arrived in Tanauan, Batangas past 5:00 pm. Normally, I would visit only one to two falls in one day, But seven falls was really extraordinary! It happened in Lake Sebu,South Cotabato. I treasured that experience! 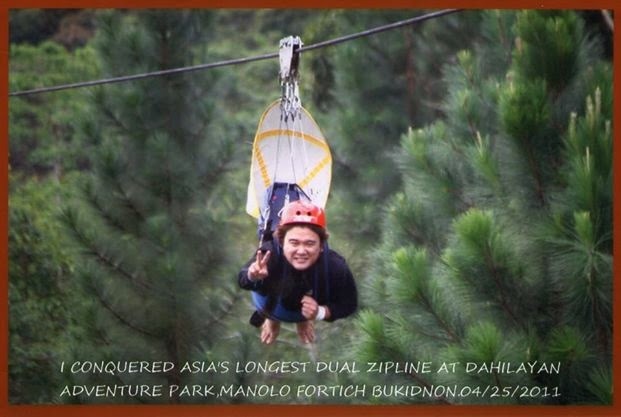 The breathtaking zipline aerial shoot was a first for me and the long hike was really nerve-wracking! I was going to Nuvali. From Tanauan City, Batangas, I boarded my bike and went to Sta. Rosa. I was 3-4 kilometers away from Nuvali when the accident happened. I was enjoying the ride and not mindful of the road. I reached a blind curve and I failed to notice that there was an approaching car. And before I knew it, I was on the pavement and the bystanders helped me get on my feet. There were so many people who witnessed the event. I could not breathe but I had to look strong. Luckily, I did not hit the car but I was thrown out of my bike and I literally flew from my bike. 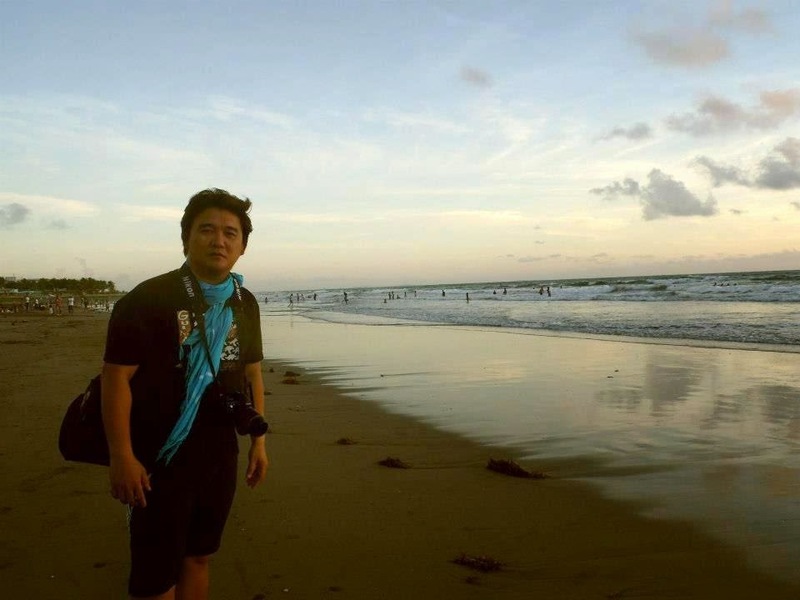 It was my Eastern Samar tour (2012) and it was the first semestral break. I went to Calbiga Caves and did my spelunking. I had to go to Lulugayan Falls within the vicinity. And travel time to the falls was almost one hour onboard a habal-habal. We reached the jump-off point but it was already raining hard because of the typhoon. I told my guide that we have to proceed and we did. By the time we were finished trekking the falls, the wind was really strong and there were three of us onboard the habal-habal (guide, driver and I). It was a descending terrain, the road was muddy and wind was pushing us apart. Good thing we reached the town. From Daet, Bicol, I boarded the bus en route to Boracay. Travel time to Sto. Tomas, Batangas was more than 10 hours. I reached Sto. Tomas past 6:00 pm. Boarded another bus going to Batangas City in 1.5 hours and passed my town. Unfortunately, I had no reservation on the boat to Boracay and I instead boarded the boat to Calapan. In Calapan, I boarded the fx ride to Roxas and boarded the Ro-Ro to Caticlan. I was really tired and sleepy. But I had to endure the long queue before boarding the Ro-Ro. There was no place to sleep in the Ro-Ro and I had to stand while sleeping. I arrived in Boracay past 6:00 am the following day. I was very optimistic in my Mindanao tour (December, 2012). Again, I was traveling alone. I alighted from the plane and saw a tank at the airport. Yup! a tank was parked at the airport. 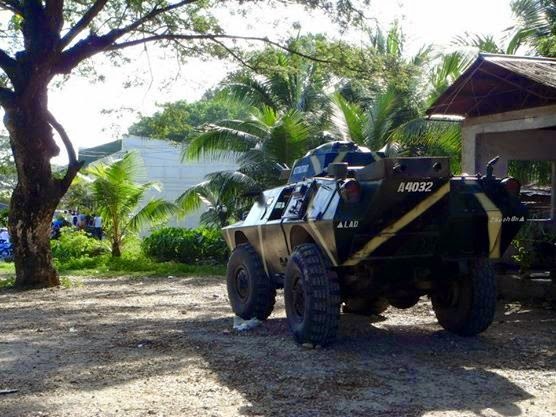 There were a multitude of military personnel with high-caliber guns and I asked one of them about the area. And all I got were warnings, tips against the city and shocking revelations. I immediately transferred to adjoining province. Natakot! Please do not get me wrong. It is safe in Cotabato City. The problem was bad timing! 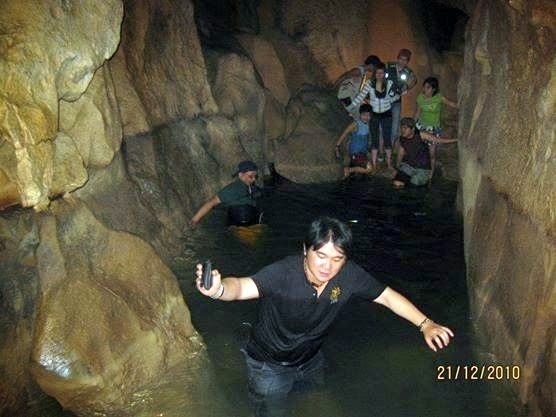 The Madella Falls and the Aglipay Caves were part of the itinerary. But not the spooky resort. I was not able to sleep for the whole night. There was really something. It was really eerie! But the experience did not stop there. I had to do spelunking the following day, exhausted and without sleep, I survived the Aglipay Caves on the 24th of December. Holy Week 2011. From Bohol, I was able to catch the only ship going to Camiguin (it was Holy Friday). I reached Camiguin and my first instinct was to have my tour of the island. I was able to finish the habal-habal tour past 4:00 pm. And I realized that I had no accommodation. I was so tired and hungry! And I started searching for my stay. It was past 9:00 pm when I was able to find one. Lesson learned: book first before you tour. I finished river rafting in Cagayan De Oro, went back to the hotel, got my stuff and when to the bus station going to Bukidnon. Arriving at the bus station, there was no direct trip to Manolo Fortich Bukidnon and I had to wait for a couple of hours for my ride. Finally, past 9:00 pm I was able to board the trip to Bukidnon. There were no seats available and I was standing on the front door of the bus with only one hand holding to a railing and my feet barely touching the platform. I endured the 2 hours ascending and zigzag travel. I thought I was going to die that night. One false move and I would fell off the bus. I was so tired! It was the last trip and I had to squeeze myself to the door of the bus. Arriving at Manolo Fortich, the next problem was accommodation and it was already 11:00 pm. My last is a happy experience. 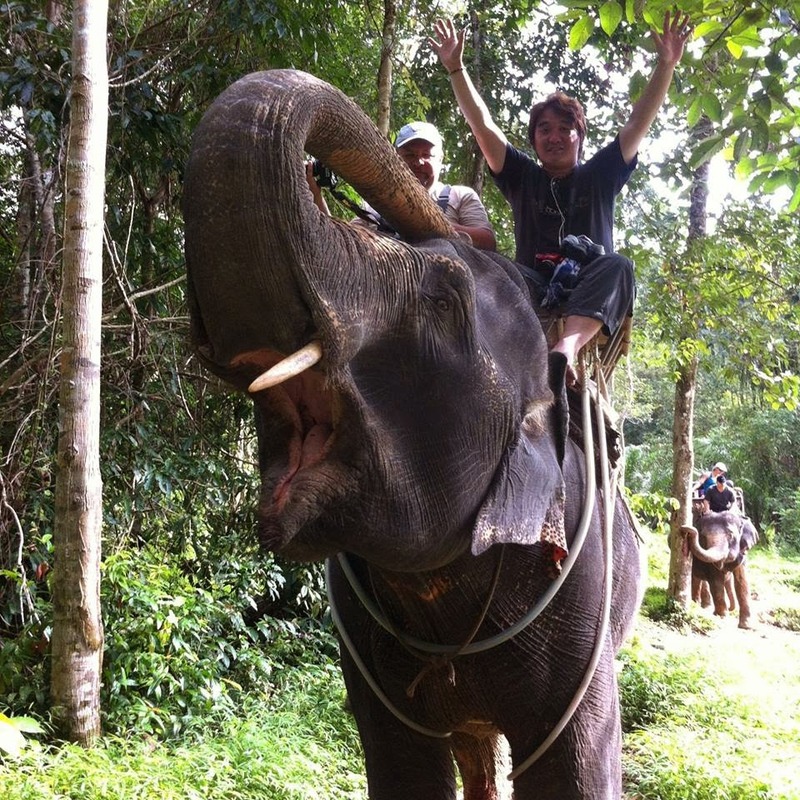 I went to Singapore, Indonesia, Malaysia, Thailand and Vietnam. Five countries in two weeks and it was the best! Ms. Sheenah Tan, a former student, told me last summer that I have to go to this spot. And after a series of plans, finally I was able to make the tour! 1. You can bring you own car and make the 2-hour drive from Manila using the South Super Highway. Use the skyway and then use the AC-TEX and exit in Lipa City and go to Cuenca, Batangas. You will pass the towns of Sta. Teresita, and finally, Taal. From Taal, you have to go to Barangay Baliti, San Luis, the jump-off point to Ligpo Island. Ride the bus (DLTB or Jam) going directly to Lemery in Buendia-Taft in Pasay. Fare is P180.00. The bus ride is good for 2-3 hours depending on the traffic. 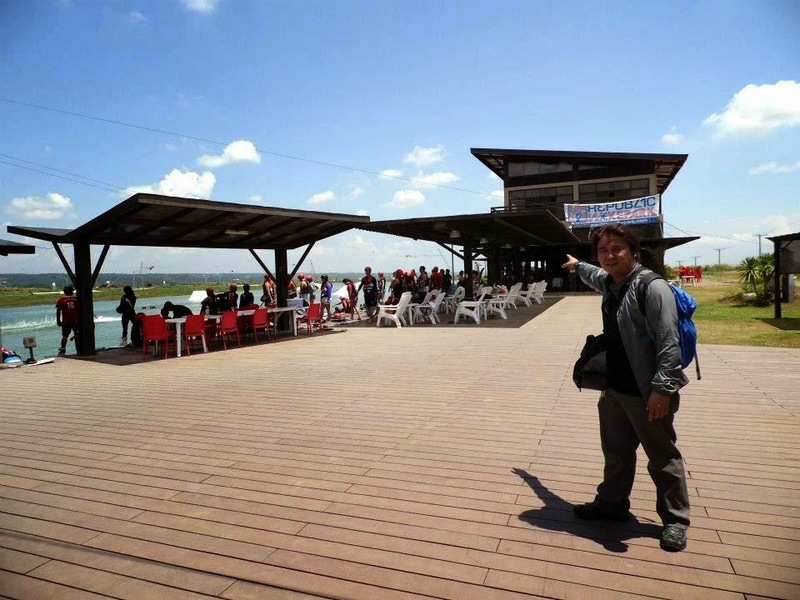 Alight in Taal, take the jeep to San Luis and the fare is only P12.00. The other option is to charter the tricycle for only P80.00 at Petron gas station in Lemery. Boat rental is a must. Trekking the beach resorts involves a very challenging experience! If you are going to charter the boat at Barangay Butong in San Luis, the cost is P1,500.00. It is a lot better to charter the boat at Barangay Baliti also in San Luis, the cost is only P800.00. But I haggled a bit and told the boatman that I would not stay long and take only pictures, and I was able to get the boat for P650.00. And so the island hopping adventure was on for the day. Honestly, there were only 2 islands and the rest are sightseeing of the nearby beach resorts but it was still fun! Ligpo Island is known as one of the best diving and snorkeling sites in Batangas. Unfortunately, I was not prepared to do any snorkeling that day and due to time constraints, I can only afford to have an island hopping experience. Normally, the cost of the boat rental is P1,000.00 (but since it was lean season), I was able to have it a very low price. Along the tour we passed the Japanese-owned resort, Bauan Divers' Sanctuary and then Ligpo Island (a private island resort owned by a Korean national). Only the Ligpo Island Resort is open to the public. Just a couple of minutes away from Ligpo Island Resort, we reached Villa Castillo. One of the premiere resorts in the area. My boatman-guide was kind enough to tell me details of the resorts in the area and we reached another resort named Portulano Resort. Last stop for the day was Dive and Trek Resort, the best resort for your diving and snorkeling needs. On the way back to the port, I decided to dock at Ligpo Island and ask the permission of the caretaker if I could be allowed to see and roam around at the island. And luck was on my side, we docked and spent a couple of minutes roaming around the island! Past two hours, we reached the docking area and paid the parking fee at Portulano Resort's parking area. Parking fee is only P20.00 for the motorcycle. It's Really More Fun in Batangas! if I am not going to travel. But my other passion in life (teaching) occupies most of my time. Do not get me wrong. I am not complaining. I simply love teaching in college. And in order to maximize for the lost time and opportunity for my craves to travel, I write all the holidays and special non-working days in a school year and plan ahead of time. And this tour was planned ahead of time. It was a good day to have a motorcycle tour. The weather was not so hot that day and there was only a minimal sign that it was going to rain that day. From Tanauan City, I boarded my bike and proceeded to Talisay, Batangas (my gateway to Tagaytay). Along the way, you will pass Club Balai Isabel (a must-see resort in Talisay). And the ascending drive started. Along the way up, you will be mesmerized by the magnificent and spectacular view of Taal Volcano. It was a bit foggy that day but I did not mind at all. There are so many routes going to Tagaytay but this Talisay route is the best route for travelers and adventurers. The twist and turns of the uphill drive will surely cause goose-bumps along the drive. It was a long motorcycle drive. I was traveling only at an average speed of 80 kilometers per hour. Before I was averaging at 100 kilometers per hour but after 3 motorcycle accidents, my urge for speed diminished. And after 2 hours, I reached my first destination - Calatagan, Batangas. Reaching the town of Calatagan, I was 2 kilometers away from my destination. And my first stop that day was in Burot Beach. I stayed in the beach only for one hour and took some information about the beach and some photos and sped off to my next destination. From Calatagan, I drove off to Lemery. Along the way, I passed by Balayan and Calaca. These towns are a must for motorcycle enthusiast! The long and straight drive towards Lemery was simply amazing! And after less than an hour, I arrived at my second destination - CML Beach Resort & Water Park. My brother, Kuya Derick Villegas, was the one who told me to visit the resort and it was a good thing that I listened to him. Again, I stayed only for an hour and afterwards, I decided to go to my final destination. From the town of Lemery, I went to Taal (a must-side trip for everone!) and headed towards San Luis. Reaching Barangay Ligpo, Lemery, Batangas. I chartered a boat in order to see the beaches and the famous Ligpo Island. Finally, I went home and reaching Lipa City, heavy rain poured and I got all soaked up but the rain did not dampen the enthusiasm and happiness of the tour that day. CML Beach Resort and Water Park was just launched this year (2014) and is quickly making itself as one of the premiere resorts in Batangas. The resort was imagined and realized by its founder and CEO, Chona Latti. It is located in the town of Lemery, Batangas. 1. You can bring you own car and make the 2-hour drive from Manila using the South Super Highway. Use the skyway and then use the AC-TEX and exit in Lipa City and go to Cuenca, Batangas. You will pass the towns of Sta. Teresita, Taal and then, finally, Lemery. Ride the bus (DLTB or Jam) going directly to Lemery in Buendia-Taft in Pasay. Fare is P180.00. The bus ride is good for 2-3 hours depending on the traffic. Alight in Lemery, then ride a tricycle going to the resort. The province of Batangas is known for its beaches and there is one white sand beach that is slowly making a name for itself - Burot Beach. Located at Sitio Burot, Barangay Tanagan, Calatagan, Batangas, the beach is a 2.5 hours drive from Manila using the Tagaytay route in Cavite. Ride the bus (DLTB) going to Nasugbu, Batangas, The bus ride is 3.5 - 4 hours and the fare is P180.00. Arriving at Lian, alight from the bus and ride the jeep going to Calatagan and pay P40.00. Reaching the municipality of Calatagan, ride or charter the tricycle going to the beach for P150.00 - P200.00. Ride the bus (San Agustin or ER John) going to Nasugbu, Batangas, The bus ride is 3.5 - 4 hours and the fare is P180.00. Arriving at Lian, alight from the bus and ride the jeep going to Calatagan and pay P40.00. Reaching the municipality of Calatagan, ride or charter the tricycle going to the beach for P150.00 - P200.00. OR you can ride van (in between Kabayahan Hotel and Metropoint at Edsa-Taft Pasay Rotonda) directly going to Calatagan. But it was different in my case that day since it was a motorcycle tour and I started from Tanauan City. I used the Talisay, Batangas route going to Tagaytay and then I passed Nasugbu and after 2 hours, I reached the beach. There are only four (4) cottages (good for 20 pax) for rent. There is a small canteen. Enjoy your beach camping stay at Burot Beach! 1. Better book early for the cottages if you do not want to use camping tent. 2. Better reserve for the tent in case you are not bringing your own. 3. There is a market place that you will pass before reaching the beach, you can buy fresh seafood along the way. 4. The beach is less than 10 kilometers away from the the Calatagan lighthouse, it is a good side trip. From the town, it is only 7 kilometers away and the tricycle charter is only P200.00 (one-way).